This year’s Los Angeles Auto Show was the best one yet. From flashy reveals of new and significant models to new high-tech pavilions from nearly every major manufacturer in four massive halls, the auto show was a crowd-pleaser. Inside the convention center, the sheer variety of new models that exist in today’s market was on display, while outside, various free driving experiences allowed consumers to get behind the wheel, both on and off the road. Highlights from the show included the launch of new versions of iconic cars like the Porsche 911, Mazda3, and Kia Soul, as well as debuts of future vehicles such as the BMW X7, Hyundai Palisade, Jeep Gladiator, and an all-new electric truck and SUV brand, Rivian. The Los Angeles Auto Show also proved significant for Hyundai Motor Group as brand perceptions continue to shift in a positive direction within the American market for Korean-built cars. Long gone are the days when Hyundai and Kia were the laughing stock of the American consumer. This year there were further differences in people’s attitudes: from a feeling that journalists and consumers were talking about a new Korean car being good “for a Kia” to a true sense of excitement and expectation over new car launches from these up-and-coming brands. 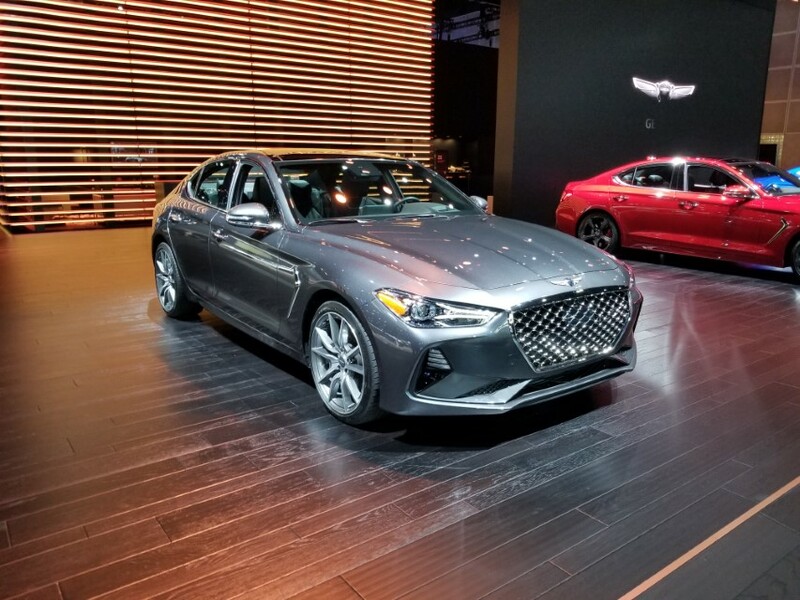 Hyundai, Kia, and Genesis fueled this excitement not only with press events and new model launches, but also with the range of cars that were being displayed at a major auto show for the first time. Large advertisements from all three of the Korean carmakers plastered the outside of the LA Convention Center as well, announcing the Genesis G70’s Motor Trend Car of the Year Award, the new Palisade, and the Kia Niro EV. 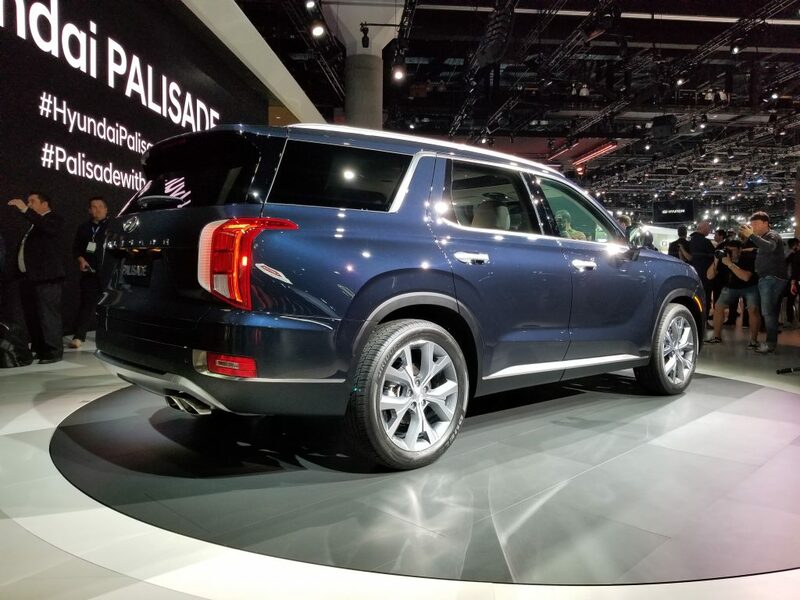 The big news from Hyundai was the launch of the 2020 Palisade, an 8-passenger near-luxury full-size SUV that helps to round out Hyundai’s line of crossovers. With an imposing presence on the outside and a roomy, comfortable, and family-friendly interior that’s sure to be competitively priced, the Palisade has all the ingredients it needs (and all those that were missing from the Entourage, Hyundai’s previous attempt at a full-size SUV) to be a success. The Hyundai press event launching the Palisade was heavily attended, exceeding the crowd size of last year’s Kona launch. Hyundai also showed other upcoming models such as the Nexo fuel-cell crossover, Kona EV compact all-electric crossover with over 250 miles range, and the Veloster N, giving consumers their first chance to get to know these vehicles from the inside out. Likewise, Kia debuted the Niro EV and the new bodystyle 2020 Kia Soul and Soul EV at the 2018 Los Angeles Auto Show. The Niro EV is an all-electric variant of the successful Niro compact crossover with a 238-mile electric range. 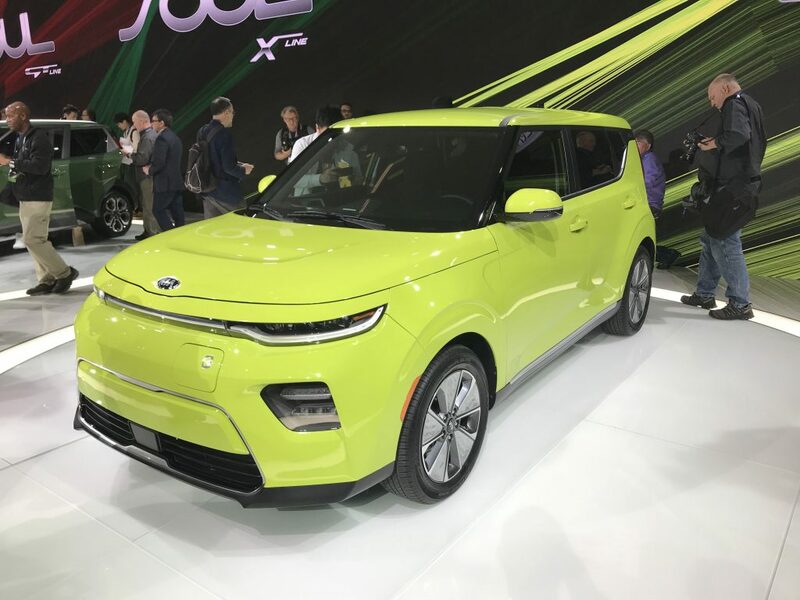 Interestingly, Kia plans to sell the Niro EV and the 2020 Soul EV side by side, despite the similarities of these two vehicles. They told me this decision was made to provide more choice to the consumer. 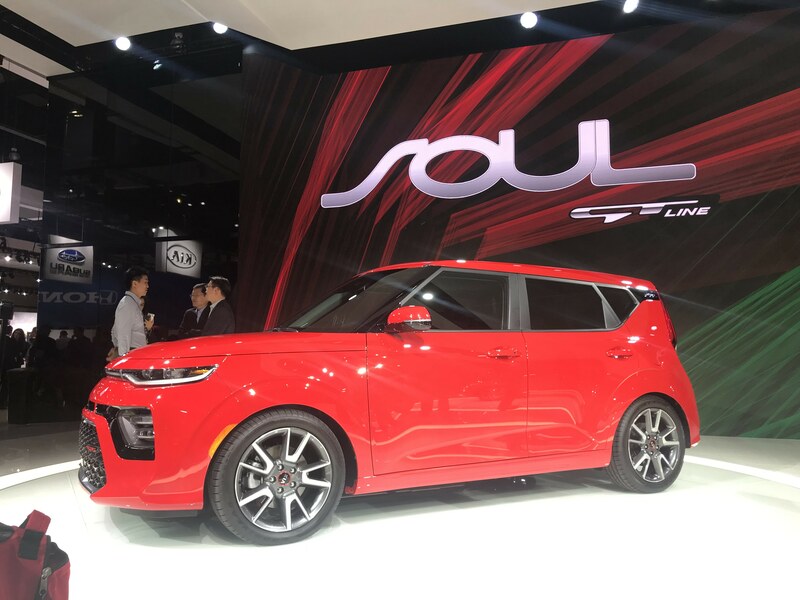 Speaking of the Soul, 3 variants were launched in Los Angeles: a GT-line with an aggressive body kit (replacing the outgoing Exclaim Turbo model), an X-line with off-roading inspired side cladding and rugged custom wheels, and the Soul EV, which should get more than double the electric range of the previous Soul EV. Kia also showed off their all-new K900 full-size luxury sedan and previewed their upcoming full-size SUV with the same custom Telluride that we first saw at the New York Fashion Show earlier this year but has not yet been formally introduced. 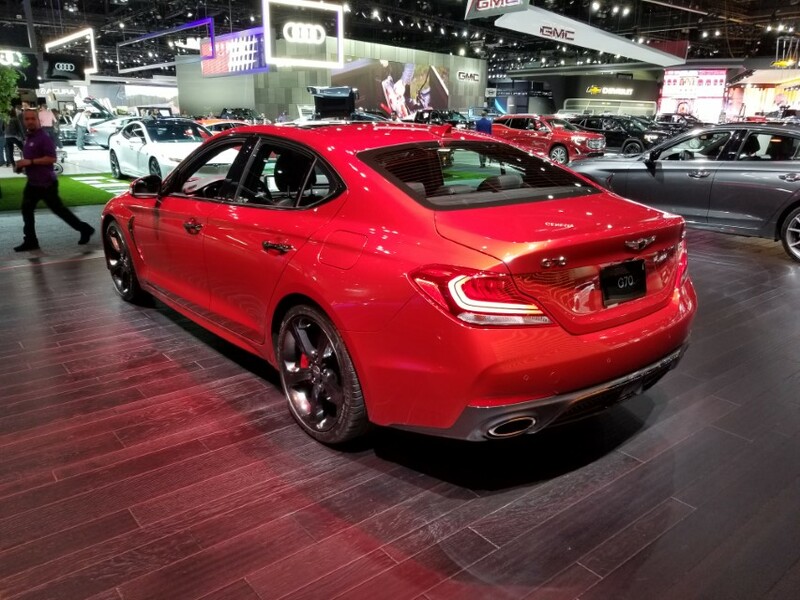 As for Genesis, they had a wide selection of G70s in various colors on display, including one with a manual transmission to prove that they are serious about selling it with a stickshift in America. However, the refreshed Genesis G90 that debuted last week was not in attendance. I overheard many people wondering where the Genesis SUVs are, as it was clear from this year’s show that SUVs are the name of the game these days. Among the glitz and glamour of the 2018 LA Auto Show, it was hard to deny how far Hyundai, Kia, and Genesis have come and the significance of this year’s show for Korean brands. The question now is how do they beat this show next year?